Before this program, I was aware of the nutrition deficit that many Americans deal with. A growing number of Americans don’t know what a healthy diet looks like, and even those who do often lack the funds to follow one. But even as aware as I was of the problem, I had never thought much about a solution. And I’m not sure why. Especially because what we are doing this summer–growing food locally and educating the community on how to do the same–seems like such an obvious answer. But now that I’m in-the-know, I’m super excited to pass on my knowledge and skills to a great group of kids. 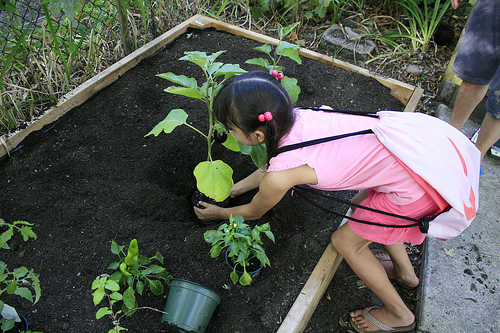 This Monday marked the launch of our Children’s Garden Classes. 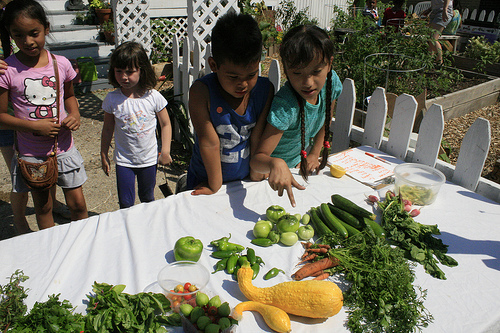 My favorite thing we got to do this week was let the kids pick vegetables, fruits, and herbs from the garden, and then show them how to put it together to make a delicious salad. It’s something strange and special when you hear a seven-year-old say that they love vegetables. I’m looking forward to developing our program and spreading the local food movement outside of Rogers Park. Since the start of Summer of Solutions in 2008, Grand Aspirations has added fourteen more programs across the nation. It’s exciting to see how far we’ve come, and even more exciting to imagine how far the movement will go! 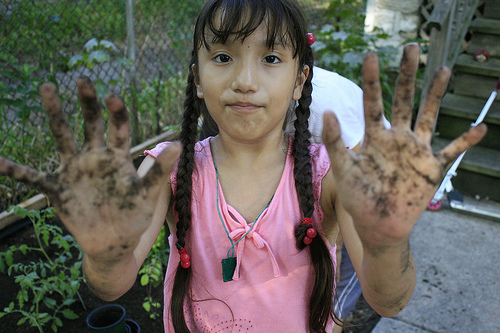 This entry was posted in Local Programs, Summer of Solutions and tagged Childrens Garden, letsgochicago, local food, participant stories, rogers park, Summer, vegetables by letsgochicago. Bookmark the permalink.